For the first time in its 26 year history, a Roy W. Dean Grant has gone to a web series. “Triple Threat”, a comedy web series for women “of a certain age” has won the final grant available for 2018. Awarded 3 times each year by From the Heart Productions, the Roy W. Dean Grant goes to a film that is unique and makes a contribution to society. With the grant, writer, producer, and series co-star Gina Surles will now be able to complete post production of Episodes 3 and 4, as well as offset costs towards creating the next episode. “Triple Threat” tells the stories of three mature women searching for meaning in their lives, who become undercover detectives despite having no prior investigative experience. The mastermind of their “missions” is Francesca Fortuna, an 85-year-old wealthy widow, philanthropist with a heart of gold. Described by its creator as “a cross between “The Golden Girls” meets “Charlie’s Angels” (but, seriously, without the bikinis)” Triple Threat was a project in the 2017 Creative Lab Hawaii Web Series Immersive program. In addition to the $3,000 cash prize, the project’s producers will receive theme music and score written by composer David Raiklen, animation services from Emmy award winner Charlie Canfield , expendable, lighting or grip equipment from Filmtools, a hard drive from G-Technology, one week DSLR camera package rental from Birns & Sawyer , and more from many other heartfelt film industry donors. Born and raised in Chicago and Oak Park, Illinois. Gina received her B.F.A. in dance from the University of Illinois, Champaign, Gina performed with regional ballet and modern dance companies. Gina has spent the last 35 years as assistant director of Hawaii State Ballet alongside her husband John Landovsky. She has helped train and produce some of Hawaii’s most talented professional dancers and ballet instructors. She was elated to return to her first love, acting, and screenwriting. Triple Threat is her first project as a producer. She has worked as an extra on films and television shows shot in Hawaii and has had roles in several UH/Academy of Creative Media films that have screened at international film festivals. Gina was thrilled and extremely grateful to have Triple Threat accepted into the Creative Lab Hawaii Web Series Immersive program under the direction of Michael Palmieri, which she views as one of the most valuable of any learning experiences on her artistic journey to date. Now entering its 27th year, the Roy W. Dean Grant has awarded over $2,000,000 in cash and donated film services to independent films. The grant is awarded to films budgeted under $500,000 that are unique and make a contribution to society. It has been an important lifeline for independent filmmakers needing help to continue working on their film and to get it completed. Without assistance from the grant, many excellent and important films may never have been made. Past winners of the grant that have been completed include the Emmy winning Mia: A Dancer’s Journey, the SXSW Best of Fest Music Film The Winding Stream: An Oral History of the Carter and Cash Family, Official Sundance 2019 selection Raise Hell: The Life and Times of Molly Ivins, and Kusama-Infinity which is now in distribution showing in theaters around the US. From The Heart Productions is a 501(c)3 non-profit dedicated to helping filmmakers get their projects funded and made. Besides providing funding through the grant, they offer films fiscal sponsorship which allows donations made to films they sponsor to be tax deductible. From The Heart has raised over $3 million for crowdfunding films. President Carole Dean is the best-selling author of The Art of Film Funding: 2nd Edition, Alternative Financing Concepts. Awarded to a unique film that contributes to society, 21 independent film projects have been chosen as finalists for the Fall 2018 Roy W. Dean Grant. The grant is offered by the non-profit From The Heart Productions. The winner will receive $30,000 in a combination of cash and donated production services from film industry professionals and companies which support independent filmmakers. “It is truly inspiring to see the personal, societal, and environmental challenges we face in the world today being addressed so passionately by so many talented filmmakers.” said Carole Dean, President of From the Heart Productions. Finalists include documentary, feature, short films, and a web series. Films will now go to the judges to determine winner which will be announced in early February. The grant winner will receive $3,000 in cash provided by From the Heart Productions and donations of film services and products from film industry professionals and companies. These include $15,000.00 theme music and score written by well-known composer David Raiklen, $6,000.00 in animation from Emmy award winner Charlie Canfield, $500 in expendables from Filmtools, a G-Drive from G-Technology, and more from many heartfelt film industry donors. Founded in 1992, the Roy W. Dean Grant is awarded 3 times each year. Grant seeks films that are unique and make a contribution to society. There is a Spring, Summer and Fall Grant. The Spring 2019 Grant is now accepting entries. Films submitted to the grant can be short films, documentaries, features, and web series from early stages of pre-production to those needing help in post. The grant has been integral in helping talented artists with great stories get their films produced. 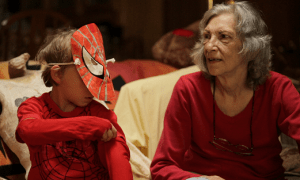 Recent past winners of the grant include the award winning “Heist: Who Stole the American Dream”, “Kusama-Infinity”, and Emmy winner “Mia: A Dancer’s Journey”. The 501(c)3 non-profit was founded by Carole Dean in 1993. She was prompted to act when saw how many filmmakers with important and often controversial stories were having trouble getting financing for their films. The mission of From the Heart Productions is to educate and assist filmmakers in getting funding. From the Heart offers fiscal sponsorship for films which allows donors to get a tax deduction for their donations. Their Intentional Filmmaking Classes which teaches filmmakers the tactics on how to get funded is now open for enrollment. Classes start in February. “The Love Bugs”, a warm and touching film about two renowned entomologists who, after 60 years of work, seek to pass on their knowledge and millions on insects, has been named the Roy W, Dean Grant Winner for Summer 2018. Awarded 3 times each year by From the Heart Productions, the Roy W. Dean Grant goes to a film that is unique and makes a contribution to society. The 2nd grant awarded this year will help winning directors Allison Otto and Maria Clinton complete their project. “The Love Bugs” in the documentary are Lois and Charlie O’Brien. They are two of the foremost entomologists and pioneers in their field who have devoted their lives to science and to each other. 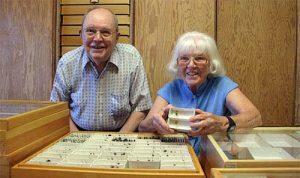 Over the course of 60 years, these two soulmates quietly amassed the world’s largest private collection of insects–a scientific game-changer with more than one million specimens and more than 1,000 undiscovered species. And now, after decades of research and the development of a parental bond with their collection, they’ve decided to give it away. In addition to the $3,500 cash prize, the filmmakers of the Roy W. Dean Grant Winner for Summer 2018 will receive $500 in expendable, lighting or grip equipment from Filmtools, a hard drive from G-Technology, $600 in free closed captioning from Netcaptioning, $500.00 for a one-year Tier 1 subscription of Show Starter Scheduling & Budgeting Plus software. Sam Dlugach, one of LA’s top colorists, donor to the grant for 15 years, donates free color correction for fundraising trailers, free workflow consultation and camera tests. A 20% discount on final color correction services. Jeffrey Alan from Alan Audio Works writes original music and gives the winner of the Roy W. Dean Grant sound mixing at a major discount. And more from heartfelt donors. 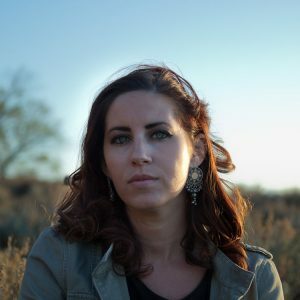 Allison is an award-winning documentary filmmaker, cinematographer, producer, visual journalist and licensed drone photographer. 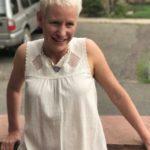 Her clients have included National Geographic, BBC America, NBC, the Sierra Club, the American Alpine Club, Outside Television and Lonely Planet. Allison’s exclusive story of the discovery of a new invertebrate species was selected by National Geographic as one of their “Ten Best First-of-their-Kind” stories of 2016. In 2013, Allison released her first film, Keeper of the Mountains, which was awarded a Telluride Mountainfilm Commitment Grant It won 15 awards, screened at over 30 film festivals around the world and was named “One of the Best Adventure Films of 2013” by Outside magazine. Maria Clinton is a filmmaker, photographer and an Adjunct Film Professor based in New York. Her photography work has been featured in various exhibits. Maria’s clients have included NBC, CNN’s Great Big Story, About.com and nonprofit organizations. Her work focuses on complex characters, social constructs and the presence of diverse voices. Now in its 26th year, the Roy W. Dean Grant has awarded over $2,000,000 in cash and donated film services to independent films. The grant goes to films budgeted under $500,000 that are unique and make a contribution to society. It has been an important lifeline for independent filmmakers needing help to continue working on their film and to get it completed. Without assistance from the grant, many excellent and important films may never have been made. Past winners of the grant that have been completed include the Emmy winning Mia: A Dancer’s Journey, the SXSW Best of Fest Music Film The Winding Stream: An Oral History of the Carter and Cash Family, and Kusama-Infinity which is now going into theatrical release around the US. From The Heart Productions is a 501(c)3 non-profit dedicated to educating and helping filmmakers get their projects funded and made. Besides providing funding through the grant, they offer films fiscal sponsorship which allows donations made to films they sponsor to be tax deductible. From The Heart has raised over $3 million for crowdfunding films. President Carole Dean is the best-selling author of The Art of Film Funding: 2nd Edition, Alternative Financing Concepts. Oxnard, CA Sept 1st 2018 – From the Heart Productions, a non-profit dedicated to helping indie filmmakers get their films funded, has awarded the Roy W. Dean Grant for Spring to “The Advocates”. Awarded 3 times each year, the Roy W. Dean Grant goes to a film that is unique and makes a contribution to society. The filmmakers behind the winning project will receive $3,500 in cash and $30k in film production services to help complete their documentary. 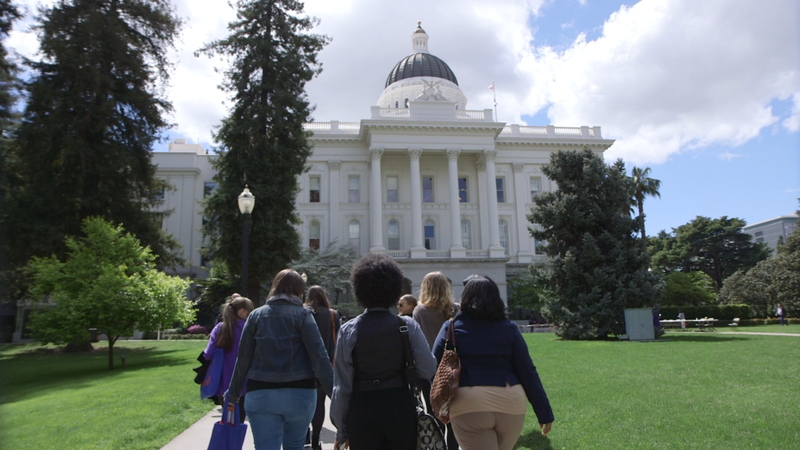 Directed and produced by Remi Kessler, Roy W. Dean Grant Winner “The Advocates” goes behind debates and headlines about homelesness with real-life demonstrations of transformation from the trenches of the crisis. Sharing insights, skills and dedication, this emotive, revelatory film is driven by two unforgettable main characters. Both are Los Angeles natives and Latinos who give tireless, highly skilled outreach and support to people experiencing homelessness. While experts analyze the underlying causes of the current Los Angeles homeless crisis amid a changing policy landscape, these two caseworkers win our hearts with their dedication and integrity. In addition to the $3,500 cash prize the Roy W. Dean Grant winner will receive $500 in expendable, lighting or grip equipment from Filmtools, a hard drive from G-Technology, 15% off legal services from entertainment lawyer Robert Seigel, Movie Magic Budgeting software from Entertainment Partners, and more from heartfelt donors. President of KSA Productions, Rémi has produced shoots in locations throughout the globe. 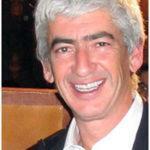 His expertise ranges from commercials to independent features to episodic television. He has produced and line produced countless commercials for clients such as Peugeot, Renault, Chrysler, Pontiac, Mercedes, Dior, and MTV. He was a producer at Animatogrofo in Lisbon and Paris, one of the major European production service companies averaging 25 feature film and television productions per year. While at Atlantique Productions in Paris, Rémi line produced four television series over a period of three years and then went on to become a producer of Prime Time fiction at Protecrea, one of France’s major TV network (TF1) production companies. Now in its 26th year, the Roy W. Dean Grant has awarded over $2,000,000 in cash and donated film services to films. Grant is awarded to films budgeted under $500,000 that are unique and make a contribution to society. It has been an important lifeline for independent filmmakers needing help to continue working on their film and to get it completed. Without assistance from the grant, many excellent and important films may never have been made. Past winners of the grant that have been completed include the Emmy winning Mia: A Dancer’s Journey, the SXSW Best of Fest Music Film The Winding Stream: An Oral History of the Carter and Cash Family, and Kusama-Infinity which is just now going into theatrical release around the US. From over 300 submissions from around the world, 20 films have been named finalists for Spring 2018 Roy W. Dean Grant. The grant, which is offered by non-profit From The Heart Productions, seeks unique films that contribute to society. The Roy W. Dean Grant winner will receive $30,000 in a combination of cash and donated from film industry professionals and companies which support independent filmmakers. “We are truly blessed right now having so many talented, creative filmmakers with passion for their projects shining a light on the social, environmental, and human rights issues facing our world.” said Carole Dean, President of From the Heart Productions. Submissions included documentaries, features, short films and web series. While most films came from U.S., projects were received from filmmakers in Canada, Australia, United Kingdom, Nigeria, Belgium, Chile, Spain, and Portugal. Out of these Roy W. Dean Grant Finalists for Spring 2018, the grant judges will select a final five from which they will choose the winner. Announcement of the winner will be made in September. The grant winner will receive $3,500 in cash provided by From the Heart Productions as well as donations of film services and products. These include a 1TB G-Drive from G-Technology, a 30% discount in equipment rental from AbelCine Tech, Inc. NYC, 40% deduction on color, editing, and production services from ProMedia, and much more from heartfelt donors those who care about helping independent filmmakers. Awarded 3 times each year, the Roy W. Dean Grant seeks films that are unique and make a contribution to society. There is a Spring, Summer and Fall Grant. The Fall Grant is now accepting entries and closes September 30th. Films submitted to the grant can be short films, documentaries or features from early stages of pre-production to those needing help in post. Recent past winners of the grant include the award winning “Heist: Who Stole the American Dream”, “The Brainwashing of My Dad”, and Emmy winner “Mia: A Dancer’s Journey”. The 501(c)3 non-profit was founded by Carole Dean when she saw how many filmmakers with important, new, and often controversial stories were having trouble getting financing for their films. From The Heart offers fiscal sponsorship for films which allows donors to get a tax deduction for their donations. Their Intentional Filmmaking Classes which teaches filmmakers the tactics on how to get funded is now open for enrollment. Classes start in September. Oxnard, CA Feb 27th 2018 – In closing out the 25th year of the Roy W. Dean Grant, From the Heart Productions, the film funding non-profit which oversees the grant, has awarded its 2017 Fall grant to Restoring Balance: Autism Recovery. The Roy W. Dean Grant is awarded 3 times each year to a film that is unique and makes a contribution to society. For winning the Fall grant, “Restoring Balance: Autism Recovery will receive $3,000 in cash and $30k in film production services including animation and film score. 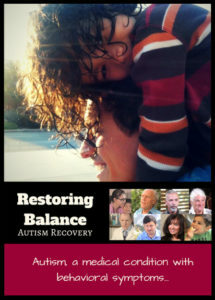 “Restoring Balance: Autism Recovery” will show how families and practitioners are rediscovering therapies that allow the human body to naturally recover. These families are located throughout the United States. Interviews and animations in the documentary take people into the lives and bodies of children with autism, and the way that food is affecting their family’s ability to achieve harmony. 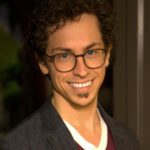 In addition to the cash prize, services Ryan will receive in include $15,000.00 in theme music and score written by award winning composer David Raiklen , $6,000.00 in animation from Emmy award winner Charlie Canfield (who is also currently working on the project), hard drive from G-Technology, and much more from many heart-felt donors. Ryan has worked in the behavioral health field with autism spectrum clients for over 11 years, aged from 2 to 30, as a neurocognitive and Certified Brain Injury Specialist. One of the families he worked with began dietary interventions and their child experienced expansions in vocabulary, eye contact and overall social interaction. After years working with children on the autism spectrum, Ryan could see that dietary and biomedical therapies made a large beneficial impact. He was motivated to make this film after seeing the results firsthand. He has taught courses in acting, writing, and film editing for children at Actors for Autism. While in Los Angeles, Ryan became a health and nutrition coach. He worked with teens on the autism spectrum to make nutritional goals achievable..
Now accepting application for its 2018 Spring Grant, over a quarter century the Roy W. Dean Grant has awarded over $2,000,000 in cash and donated film services to films. The grant has been an important lifeline for filmmakers. It gives them the resources needed to continue working on their film and to get it completed. Without assistance from the grant, many excellent and important films may never have been made. Past winners of the grant that have been completed include the Emmy winning Mia: A Dancer’s Journey, the SXSW Best of Fest Music Film The Winding Stream: An Oral History of the Carter and Cash Family, and the now in release on video and on demand the very relevant The Brainwashing of My Dad. From The Heart Productions is a 501(c)3 non-profit dedicated to educating and helping filmmakers get their projects funded. Besides providing funding through the grant, they offer films fiscal sponsorship which allows donations to films be tax deductible. From The Heart has raised over $12 million for filmmakers through fiscal sponsorship. President Carole Dean is the best-selling author of The Art of Film Funding: 2nd Edition, Alternative Financing Concepts. Oxnard, CA Dec 16th, 2017 – From the Heart Productions , the non-profit dedicated to helping indie filmmakers get their films funded, has awarded its second Roy W. Dean Grant of 2017 to the documentary “Belly of the Beast”. Awarded 3 times each year, the grant goes to films that are unique and make a contribution to society. As a result of winning, “Belly of the Beast” will receive $3,500 in cash and $30k in film production products and services to help it complete production. Directed by Erika Cohn, “Belly of the Beast” intimately chronicles the journey of women fighting reproductive injustice in their communities. For winning the Roy W. Dean Grant, “Belly of the Beast” filmmakers receive $3,500 cash given by From the Heart Productions. The winners also receive a hard drive from G-Technology, Scholarships to Writers Boot Camp , 25% discount on Publicity services by David Magdael & Associates, Inc., 35% discount for lighting services from PASKAL LIGHTING, and much more from many heart-felt donors. Erika Cohn is an Emmy award winning director/producer who Variety recognized as one of 2017’s top ten documentary filmmakers. Most recently, Erika completed The Judge, a film about the first woman judge to be appointed to the Middle East’s Shari’a courts. It premiered at the 2017 Toronto International Film Festival and will be broadcast on PBS’ 2018 Independent Lens series. In addition, Erika co-directed/produced, In Football We Trust, an Emmy award-winning, feature documentary about the unique faith and culture that ultimately drives young Pacific Islander men into the NFL. It premiered at the 2015 Sundance Film Festival and was broadcast on PBS’ 2016 Independent Lens series. Her work has been supported by IFP, the Sundance Institute, Tribeca Institute, Hot Docs, Sheffield, ITVS, Women in Film, BAVC and the CPB Producer’s Academy among others. Now in its 25th year, the Roy W. Dean Grant has awarded over $2,000,000 in cash and donated film services to films. The grant has been an important lifeline for filmmakers needing help to continue working on their films. Without assistance from the grant, many excellent and important films would have never have been made. From The Heart Productions is a 501(c)3 non-profit dedicated to helping filmmakers get their projects funded and made. Besides providing funding through the grant, they offer films fiscal sponsorship which allows donations made to films they sponsor to be tax deductible. From The Heart has raised over $2.4 million for crowdfunding films as a partner with Indiegogo. President Carole Dean is the best-selling author of The Art of Film Funding: 2nd Edition, Alternative Financing Concepts. Oxnard, CA October 21st, 2017 – The first Roy W. Dean Grant for 2017 for independent filmmakers, awarded by the non-profit From the Heart Productions, goes to the documentary “Stranger at Home”. Now in its 25th year, the Roy W. Dean Grant is awarded 3 times a year to films that are unique and make a contribution to society. “Stranger at Home” will receive $3,500 in cash and $30k in film production products and services to help it complete production. “Stranger At Home” filmmakers with their main story subject Navy Commander (retired) and Psychologist, Dr. Mark Russell (c) with war stress injuries cohorts Dr. Charles Figley and Bonnie Zinn. Directed by Luis Remesar and produced by Luis, Beth Dolan, and Sheila Higgins, “Stranger at Home” documents a Navy psychologist’s personal journey from decorated officer to reluctant whistle blower. His relentless mission is to hold the military accountable for continually disregarding their own solutions to the military mental health epidemic. “Stranger at Home” has completed research, development and secondary, photography production. The filmmaker’s goal is to finish production in time to submit to Sundance Film Festival in September of 2018. 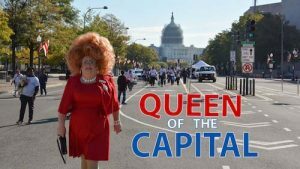 The documentary reveals that active duty military, veterans and their families are facing a mental health crisis of catastrophic proportion. But, even in this day and age of advanced knowledge and unlimited resources, the mindset of the military is one where mental illness and the admission of psychological trauma are still considered a weakness or a defect of character. Through the film, we see the staggering consequences of these archaic and damaging beliefs. This includes 24 suicides to every one battlefield death since 1999, rampant homelessness, substance abuse, incarceration and broken homes. These are all symptoms of untreated war stress Injuries. The film explores the questions of why are we failing our bravest men and women who suffer needlessly? What is being done and what more can we do about it? 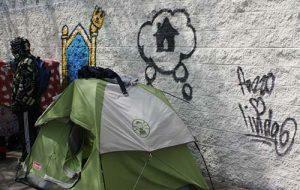 Why have we let this preventable crisis happen? As winner of the first Roy W. Dean Grant for 2017, filmmakers receive $3,500 cash given by From the Heart Productions. The winners also receive a hard drive from G-Technology, 40% deduction on color, editing, and sound & all production services from ProMedia, 30% discount in equipment rental from AbelCine Tech, Inc. NYC, Movie Magic Budgeting software as a gift from Entertainment Partners , and much more from many heart-felt donors. Luis, a native of Havana, Cuba, is a graduate of Columbia University where he studied psychology as well as filmmaking under both Andrew Sarris and Milos Forman. He has been honored by the Los Angeles City Council for his short film OUT OF ORDER and won an ACE Award of Merit for his bilingual,anti-smoking PSA for the American Lung Association. 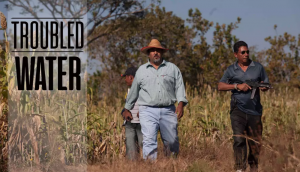 His feature-length documentary REGRESO – about the resiliency and inventiveness of people living through the many challenges in today’s Cuba – has screened at festivals and universities worldwide. A graduate of Carnegie-Mellon University School of Drama, Beth has worked on popular situation comedies such as FOLEY SQUARE and VAN DYKE. She also worked on LOS BELTRAN, an award-winning Spanish language comedy for Sony/Telemundo. Under her own production banner Coyote Pass Productions, Beth has produced award-winning PSAs and short form documentaries. Her feature-length documentary REGRESO premiered at the Santa Barbara International Film Festival and has screened at other festivals and universities worldwide. 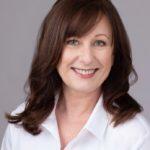 Sheila has worked in multiple media genres as a producer, director, editor and videographer. This includes working on such shows as: TALK SOUP, E! TRUE HOLLYWOOD STORIES, as well as the OSCARS, EMMYS, and the GOLDEN GLOBES. She’s also worked as an editor for Tribune/KTLA News and Special Projects where she won awards from the Greater Los Angeles Press Club as well as a TELLY. Other documentaries she has worked on inlcude: OUR STORY, KIDS GET CANCER TOO – SEEING IS BELIEVING; THE INSPIRING STORY OF RWANDA – AHE PASSION TO PLAY, ONE PLAYER’S STORY and SINGING FUNNY. The Roy W. Dean Grant has awarded over $2,000,000 in cash and donated film services to films. The grant has been an important lifeline for filmmakers that need help to complete their film. Without assistance from the grant, many excellent and important films may never have been made. From The Heart Productions, the non-profit dedicated to helping indie filmmakers get funding, has selected 21 Roy W. Dean Grant finalists for Summer 2017. Now in its 25th year, the grant seeks films that are unique and make a contribution to society. The winner will receive $30,000 in a combination of cash and donated services from film industry professionals and companies which support independent filmmakers. The grant is open to documentaries, features, short films and web series. Every filmmaker that applies to the grant gets a free consultation on their project. That along with the cash and production services awarded has made the Roy W. Dean Grant one of the top grants to apply to for new filmmakers. Just some of the nations represented in the applications include Sierra Leone, Ireland, Great Britain, Israel, Thailand, Japan, and India. From this group of Roy W. Dean Grant Finalists for Summer 2017, a smaller group of 4 to 6 finalists will be selected by our judges. The winner will be chosen from that group and will be announced in late October. This year’s grant winner will receive $3,500 in cash provided by From the Heart Productions and donations of film services and products from film industry professionals and companies. Some of which include a 1TB G-Drive from G-Technology, $1295.00 Scholarship to Writers Boot Camp , 35% discount on lighting from Paskal Lighting, Discount of rental of screening room from Raliegh Studios, and much more from heartfelt donors those who care about helping independent filmmakers. Founded in 1992, there are 3 Roy W. Dean Grants awarded each year. There is a Spring, Summer and Fall Grant. The Fall Grant is now accepting entries and closes October 14th. Films submitted to the grant can be short films, documentaries or features from early stages of pre-production to those needing help in post. The grant has been integral in helping talented artists with great stories get their films produced. Recent past winners of the grant include the award winning “Heist: Who Stole the American Dream”, “The Brainwashing of My Dad”, and Emmy winner “Mia: A Dancer’s Journey” which just won an Emmy award. 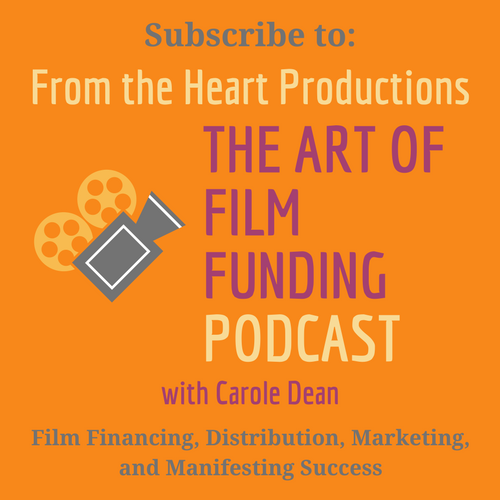 Carole Dean founded the 501(c)3 non-profit when she saw how many filmmakers with important, new, and often controversial stories were having trouble getting financing for their films. From The Heart offers fiscal sponsorship for films which allows donors to get a tax deduction for their donations. Their Intentional Filmmaking Classes which teaches filmmakers the tactics on how to get funded is now open for enrollment. Classes start September 30th. 21 films that are unique and make a contribution to society were named as Roy W. Dean Grant Spring 2017 finalists. The grant is offered by From The Heart Productions, the non-profit dedicated to helping filmmakers get funding. The winner will receive $30,000 in a combination of cash and donated services from film industry professionals and companies which support independent filmmakers. A record number of 345 films were submitted to this year’s Roy W. Dean Grant for Spring from across the US and around the world. Entries were received from France, Mexico, Australia, Japan, Canada, and the United Kingdom. The projects included features, short films, documentary, and web series. Now in its 25th year, the Roy W. Dean Grant seeks films that are unique and make a contribution to society that need help getting started or completed. Out of this group of 21 Roy W. Dean Grant Spring 2017 finalists, a smaller group of 4 to 6 finalists will be selected by our judges. From that group will come the winner of the Roy W. Dean Grant. Winner is expected to be announced in late September. This year’s grant winner will receive $3,500 in cash provided by From the Heart Productions and donations of film services and products from film industry professionals and companies. Some of which include a 1TB G-Drive from G-Technology, a 30% discount in equipment rental from AbelCine Tech, Inc. NYC, 40% deduction on color, editing, and production services from ProMedia, and much more from heartfelt donors those who care about helping independent filmmakers. Founded in 1992, there are 3 Roy W. Dean Grant every year. There is a Spring, Summer and Fall Grant. The Fall Grant is now accepting entries and closes September 30th. Films submitted to the grant can be short films, documentaries or features from early stages of pre-production to those needing help in post. The grant is integral in helping talented artists with great stories get their films produced. Recent past winners of the grant include the award winning “Heist: Who Stole the American Dream”, “The Brainwashing of My Dad”, and Emmy winner “Mia: A Dancer’s Journey” which just won an Emmy award. 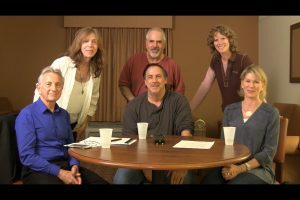 The 501(c)3 non-profit was founded by Carole Dean when she saw how many filmmakers with important, new, and often controversial stories were having trouble getting financing for their films. From The Heart offers fiscal sponsorship for films which allows donors to get a tax deduction for their donations. Their Intentional Filmmaking Classes which teaches filmmakers the tactics on how to get funded is now open for enrollment. Classes start September 30th. ©Fromtheheartproductions Inc. All rights reserved.